The Trollope Society exists, with a world-wide membership, to promote and publish the works of Anthony Trollope, to provide a forum for the exploration of all aspects of his life, and to encourage the reading and enjoyment of his fiction for future generations. 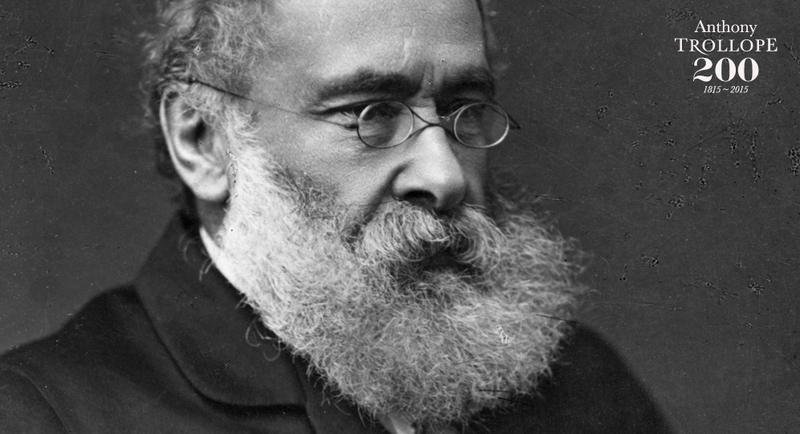 Anthony Trollope wrote forty-seven novels – three times as many as Dickens – and many have long preferred Trollope for his subtle delineation of human character and middle class mores. Yet in as late as 1987, over 100 years after the author’s death, no complete edition had been published, and Anthony Trollope had not even achieved the dignity of a memorial in Westminster Abbey. At that point, the writer Paul Johnson called attention to these extraordinary omissions, calling them ‘absurd and humiliating’ and adding ‘we owe it to our national honour to put this right’. ‘Putting this right’ was clearly to be the first objective of The Trollope Society, which was founded in the same year. Six years on, a memorial to Anthony Trollope was unveiled in Poets’ Corner by the then Prime Minister, John Major, A Vice President of the Society; and all forty-seven volumes of the complete novels and The Autobiography have now been published in the Complete Edition, as well as all five volumes of the short stories, and almost all of the non-fiction, including his travel books. The Complete Edition – comprising 60 volumes – is available exclusively to members of the Trollope Society. The Society continues to promote worldwide awareness of the life and work of this enduringly popular author through its journal, Trollopiana, published three times a year. The Society brings together those who enjoy Trollope’s works at a wide range of events, including dinners, social events, the AGM Lecture, weekend and longer excursions to places associated with Trollope. The Society runs a local seminars groups across England and Scotland, where members meet to discuss Trollope’s works. 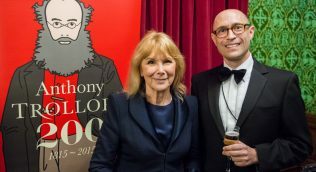 In 2015 to celebrate the bicentenary of the birth of Anthony Trollope, the Society held a number of special commemorative events, including a 200th Birthday Dinner at the Athenaeum in April, and a memorial service at Westminster Abbey, followed by dinner at The House of Lords, in December.